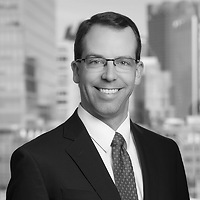 Jeffrey W. Roberts, a partner in Nutter’s Trusts and Estates Department, served as a panelist on the “The Intersection of Estate Settlement and Trust Administration: Best Practices and Hidden Issues” panel at the Massachusetts Bar Association’s Fourth Annual Probate Law Conference on November 18. Jeff discussed the funding of marital trusts, the right of recovery over marital and QTIP trusts and how they are each calculated, allocation of GST exemption and funding of GST Trusts, and conflicts of interest. The conference featured timely updates to probate practices and procedures and was attended by more than 400 practitioners.